Power up your sweet tooth with this classic sweet treat that is sure to bring a smile to any occasion! 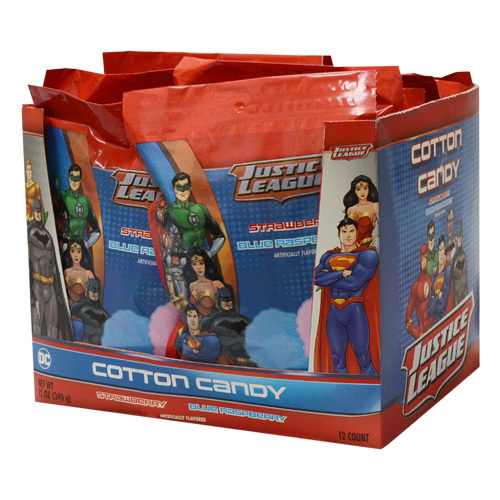 DC Comics Cotton Candy is the perfect treat for all ages that love light, fluffy, melt-in-your-mouth cotton candy. 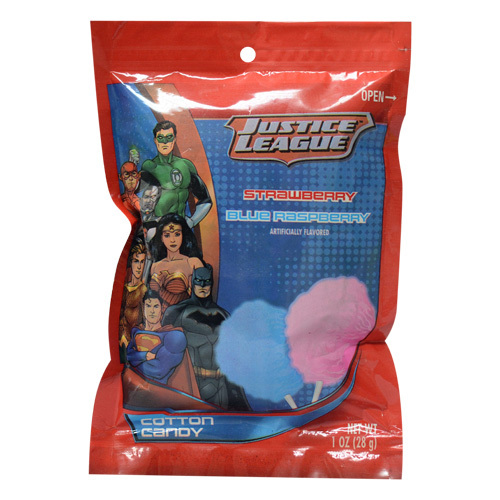 DC Comics Cotton Candy comes in two great tasting flavors: strawberry and blue raspberry. Delight the kids, and your taste buds today! 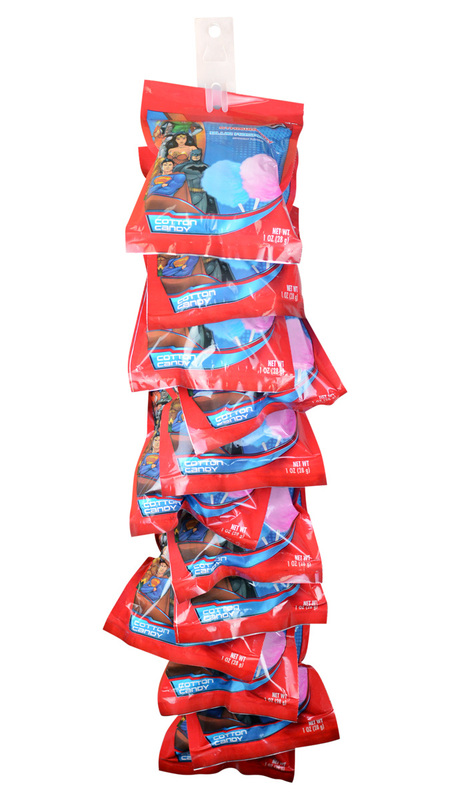 Display strip for presenting cotton candy securely for resale. INGREDIENTS: SUGAR, ARTIFICIAL FLAVORS, ARTIFICIAL COLORS (RED 3, BLUE 1).